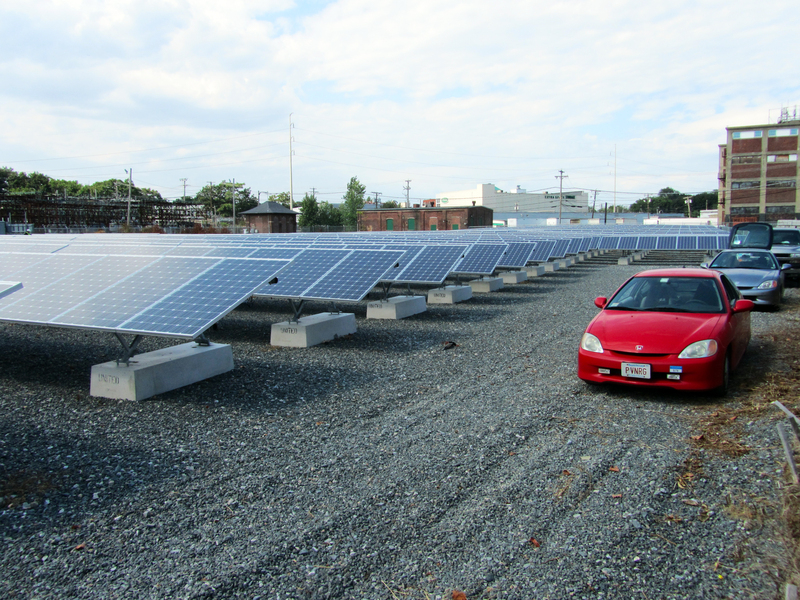 SDA was retained by the utility, National Grid, to power their new headquarters with a roof-top solar electric system. SDA collaborated with the design team to develop a feasibility assessment and schematic design for review and approval. SDA then furnished complete solar system design and engineering, code input and signed-and-sealed construction documents; helped qualify contractors; assisted in procurement of key long-lead components; oversaw construction and provided full, independent commissioning of the system upon completion. 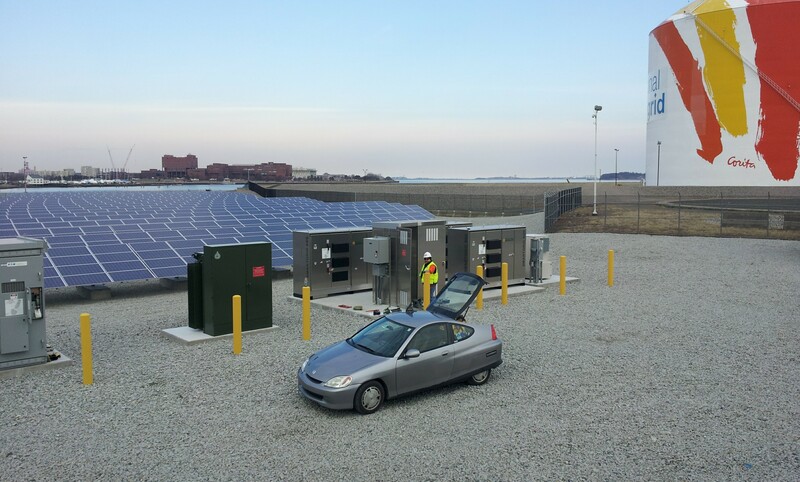 Following on the successful completion of Grid’s new headquarters, the utility retained SDA to help them field multiple multi-MegaWatt utility-scale PV power plants on NGRID sites to meet their goal of fielding a minimum of 10 MegaWatts of PV in MA. The first project was a 2MW system on a remediated brownfield at the iconic painted gas storage tank on the harbor along the I-93 corridor south of Boston near the Kennedy Library. SDA collaborated with the civil and environmental engineers on the initials site assessment and then developed conceptual designs for NGRID’s review. SDA then furnished complete solar system design and engineering, signed-and-sealed construction documents; code compliance input; helped quality contractors; assisted in the interconnection of the solar plant into the grid of their competing utility, oversaw the installation of the system and provided full, independent commissioning upon completion. 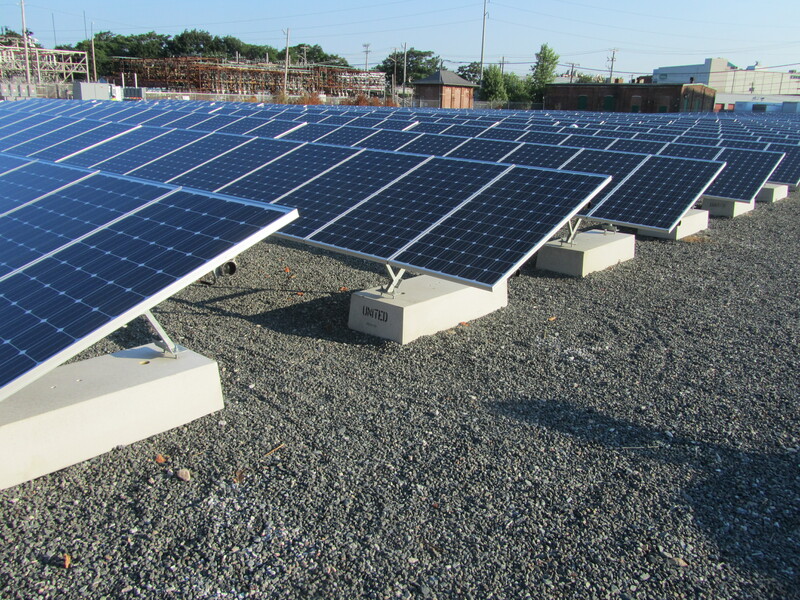 NGRID subsequently retained SDA to serve as Owners’ Engineers on 20 utility-scale PV projects fielded within their service territory.